Click on 'More info' to see more pictures and to check availability on any of our listed Pots and Pans cottages. Click 'Add to favourites' to store any of the Pots and Pans cottages for later viewing. 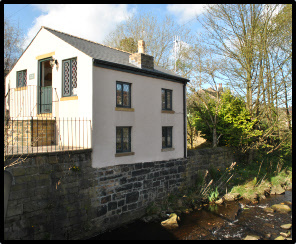 The property lies about 4 miles from the popular town of Hebden Bridge, easily reached by car, train or a pleasant walk along the canal bank. Todmorde..
Four Victorian cottages converted into one property. Set in three acres of private gardens and woodland. 1 mile from Eureka (childrens science m..
St Aidan’s Mission: 5 bedroom detached property with 1 double, 2 twin, 1 triple, 1 single bedrooms, shared bathroom with shower over and shared wet .. This comfortable home provides very spacious first floor accommodation which has been newly converted with oak floors and Original Features. The prope..
enclosed garden. Situated just out..
An attractive 18th century stone cottage, sympathetically refurbished retaining original features including old black wood beams.